When you buy a house, you are excited to make memories in it and have a safe and special place to land at the end of each day. However, a fire could devastate all of that. A home fire happens every 90 seconds in America, according to the National Fire Protection Association (NFPA). Home fires are something many people don’t even realize they can prevent much better than they do. Cooking is the leading cause of fires, with unattended cooking serving as the leading cause of cooking fires. Stay in the kitchen while you’re frying, grilling or broiling food. If you leave the kitchen for even a short period of time, turn off the stove. Keep anything that can burn at least three feet away from the stovetop. Don’t cook if you’re tired or have been drinking alcohol. Heating is the second-leading cause of home fires, More than half (53%) of all home heating fire deaths result from fires that began when heating equipment was placed too close to things that can burn such as upholstered furniture, clothing, mattresses or bedding. Also, the peak months for home heating fires are December through February. Make sure your heating equipment is in good working order. Have your heating systems inspected and cleaned, if necessary, each year, by a qualified professional. Keep space heaters at least three feet away from anything that can burn. Make sure to turn space heaters off when you leave the room or go to sleep. Electric and lighting represent the third-leading cause of U.S. home fires. Wiring and related equipment was involved in 70% of these incidents. Cords or plugs were involved in only 10% of the electrical distribution or lighting fires, but these fires caused more than one-quarter (28%) of the associated deaths. Have all electrical work in your home done by a qualified electrician. Only plug one heat-producing appliance (such as a coffee maker or toaster) into an outlet at a time. Major appliances (refrigerators, dryers, washers, stoves and air conditioners) should be plugged directly into a wall outlet. Extension cords and plug strips should not be used. Susan McKelvey, communications spokesperson for the NFPA’s public education division, said that another big prevention helper includes fire extinguishers accessible in the house. For example, a class C fire extinguisher should be installed where there is potential for an electrical fire. NFPA 10 also recommends at least one fire extinguisher per floor and one in the garage. “In general, fire extinguishers can be very effective tools for fighting small, containable fires. But you need the right type of extinguisher for the fire you’re trying to fight,” she says. You also need to know how to use an extinguisher properly, which takes training and practice. “If used improperly, an extinguisher can actually spread the fire and make matters worse; this is particularly true with grease/frying fires. Fire extinguishers are tools for adults only, not children,” McKelvey adds. NFPA experts also recommend to clean up clutter that blocks exits, including furniture that is placed in front of doors and windows. It presents a fire hazard because it can inhibit people’s ability to escape quickly and safely. Clutter in kitchens where combustibles are placed too close to cooking equipment, or in other rooms where flammable objects are too close to heating or electrical equipment, all present fire hazards. Lit candles are open flames in your home, so they do present a fire risk. Between 2011 and 2015, candles caused an annual average of 82 U.S. home fire deaths, 800 injuries and $295 million in direct property damage. The NFPA encourages people to use battery-operated candles, which mimic the look and glow of real candles, and are widely available in retail stores. The devastation of the recent California wildfires caught many homeowners attention. There are best lines of defense for the home, says Michele Steinberg, wildfire division manager at NFPA. A nonflammable roof covering can help in keeping flames away. She also recommends that homeowners start by cleaning roofs and gutters of dead leaves, debris and pine needles that could catch embers. You should repair or replace damaged or loose window screens and any broken windows. Homeowners can keep lawns and native grasses mowed low, prune up shrubs and trees, and trim back branches that touch or overhang the house. A home fire sprinkler is one of the best technologies to help reduce the damaging effects of home fires, states Fred Durso Jr., communications manager of NFPA’s Fire Sprinkler Initiative. 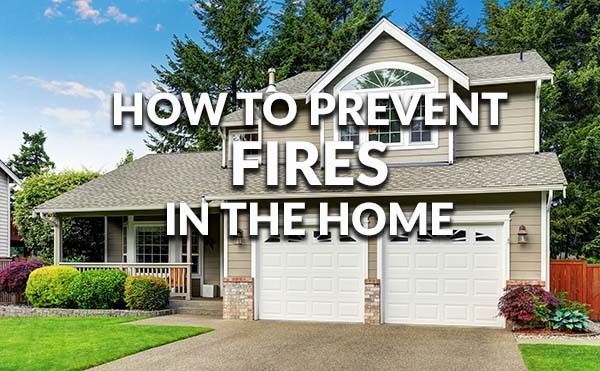 They can reduce your risk of dying in home fires by 80 percent and can reduce the risk of property loss by 70 percent. “Since sprinklers save lives and property, many insurance companies reward their presence in homes. Insurance premium discounts, based on our research, have ranged from four percent to 15 percent,” he says. The American Chemistry Council says there is an ever-evolving list of new products with flame retardants. Flame retardants provide consumers with a critical layer of fire protection and are vital to reducing the risks associated with fire. Electronics – Washers and dryers, refrigerators, telephones and cell phones; computers, vacuum cleaners, and small household appliances. Building and construction – Insulation, roofing, paints and coatings, electrical wires and cables, and decorative fixtures. Furnishings – Foam upholstery, curtains, carpet, natural and synthetic filling materials. Lee Nelson is a Chicago-based writer whose work has appeared on Realtor.org, Yahoo! 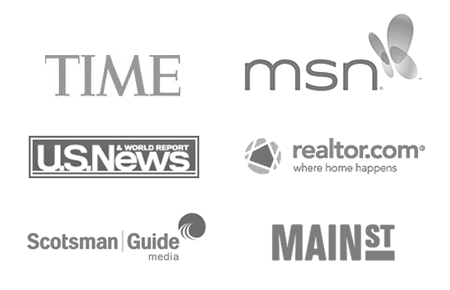 Homes, TheMortgageReports.com, and more.